Amazin! Never knew my truck could run this smooth. With just the cold air intake, and new PMD. Can't imagine how much power I will get when I buy further upgrades. Very satisfied! Supply Pump repair Tube kit for ssd-045 Supply pumps. 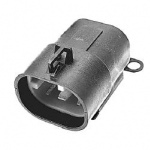 Supply/Lift Pump Relay all 6.5TD's 92-94 C/K's, Suburbans and vans. 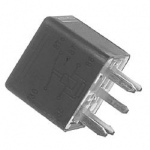 Supply/Lift Pump Relay all 6.5TD's 95-2000 C/K's, Suburbans and vans.